Cape Town — President Roch Marc Christian Kaboré has appointed Christophe Joseph Marie Dabiré as Prime Minister. Dabiré is a seasoned economist and a politician who takes the reins of government at a time when there are economic and security challenges facing Burkina Faso. 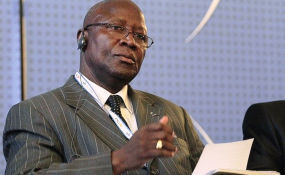 His background as Commissioner for 10 years at the West African Economic and Monetary Union makes Dabiré a manager able to fill well the road map assigned by Kaboré . allAfrica editor's note: This text was translated from Fasozine, as it was published on fr.allafrica.com.